In my opinion, a good steak doesn’t need to wear anything more than a dress of course salt and freshly ground black pepper. Sure there are boldly flavored marinades and spicy rubs that shine a delicious light on a beef-centered dish. 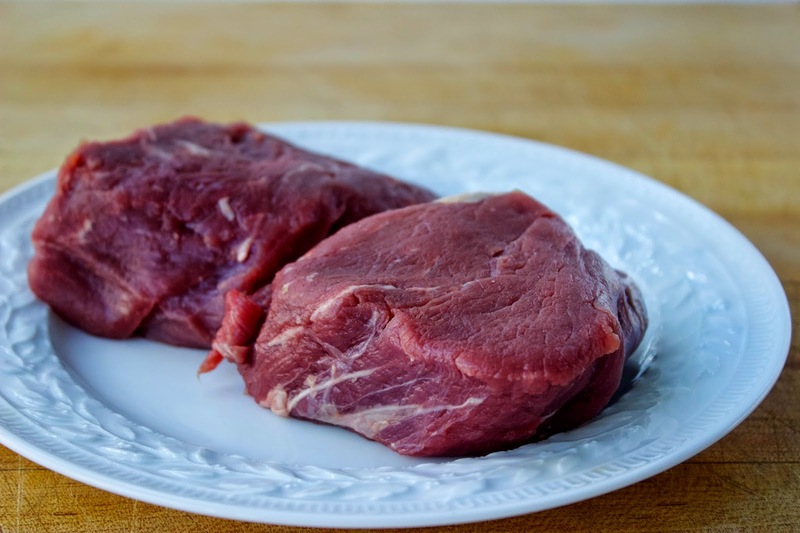 However when you have humanely raised, grass-fed beef at your fingertips (such as you will find at Foxhollow Farm), show some restraint and let the meat and simple seasoning do the talking. 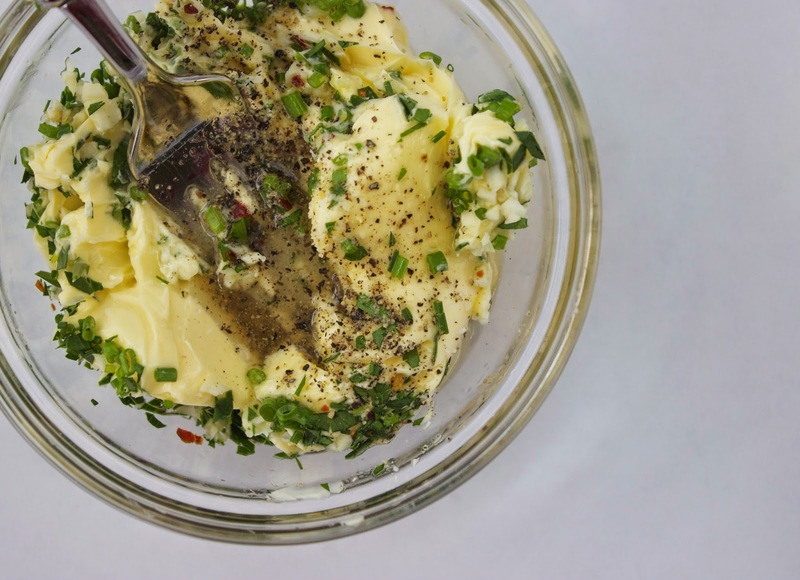 Oh – and add a large pat of decadent, garlic and herb laced butter on top. It is a filet’s ideal accessory. A trick of the trade often used in the most classic of steakhouses, it’s hard to imagine a dish that feels and tastes this fancy yet requires little to no effort. The lean nature of this cut of beef falls quickly in love with the richness of the butter, soaking up the spice and herbs as they melt overboard. It is a natural beauty and one that you will be proud to serve to your friends and family. And don’t worry. 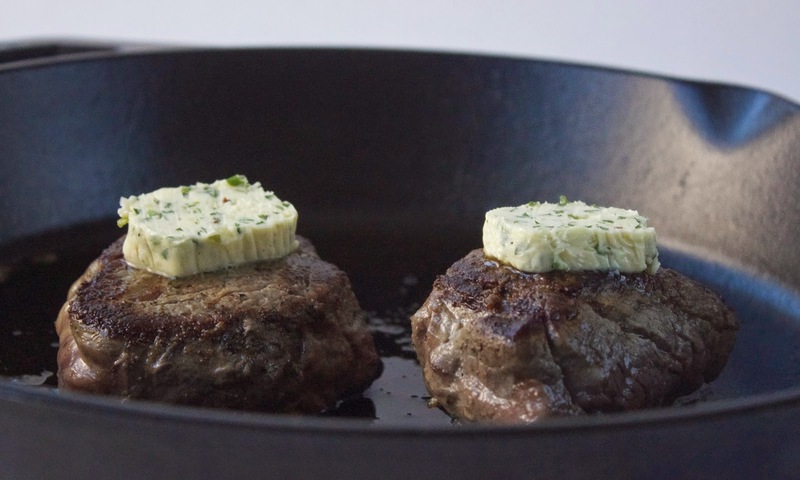 The steak won’t last long but this recipe will leave you with plenty of leftover herb butter to spread on bread, serve over pasta or to toss with your fresh summer corn. It’s simply one of those accessories that goes with everything. Cheers! To begin, remove your filets from the refrigerator and allow them to come to room temperature as you prepare the butter. This will help the filets cook evenly and for the outside to develop a nice sear. For the butter, gather the following: one and one half tsp minced fresh garlic, two tsp minced freshly parsley and two tsp minced fresh chives. Place eight tbs of room temperature, unsalted butter in a bowl (I recommend using pastured butter which means it was made from the milk of grass-fed cows). 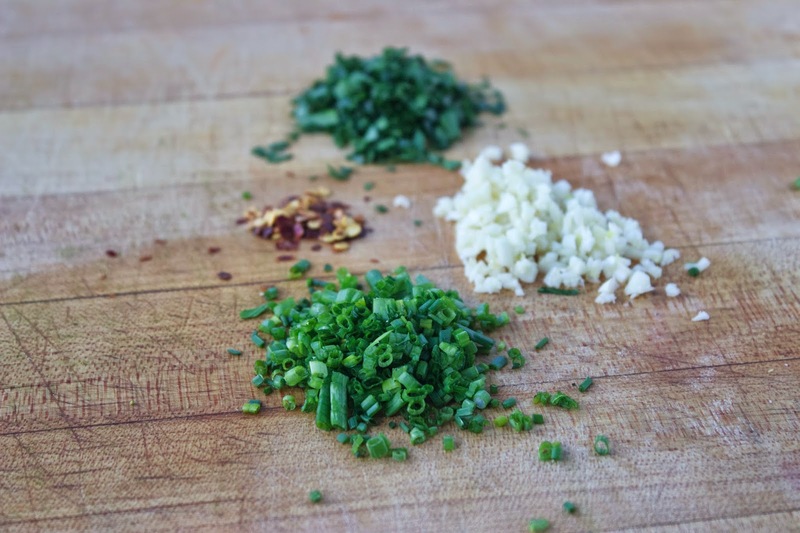 Add the garlic, chives and parsley along with one quarter tsp red pepper flakes, one quarter tsp kosher salt, one quarter tsp freshly ground black pepper, and a squeeze of lemon juice, approximately one tsp. Just enough lemon juice to add a hint of acid but not so much that it thins out. Mix with a fork until well blended and smooth. Lay out a large sheet of saran wrap on a flat surface. 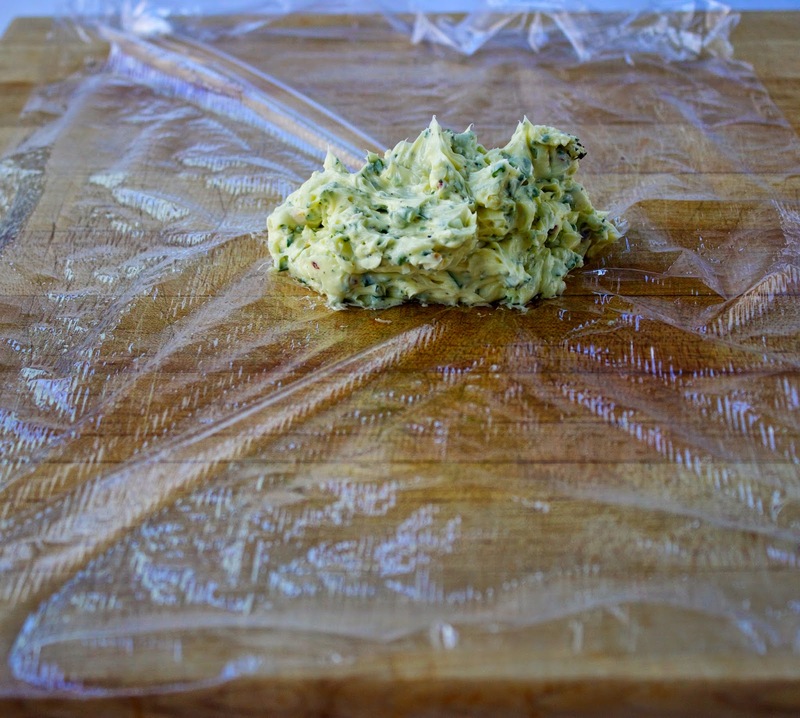 Place the herb butter toward the base of the saran wrap and roll forward, encasing the butter in the wrap. Working with your hands, roll and mold the mixture into the shape of a rounded stick of butter, approximately one inch thick. Tighten and secure the ends of the saran wrap and place the butter in the refrigerator or freezer. I use the freezer if I plan to serve my butter that same evening, speeding up the process of setting the butter. If I am making the butter in advance, I will simply store it in the fridge. The butter will last up to one week in the fridge and will also freeze well for future use. 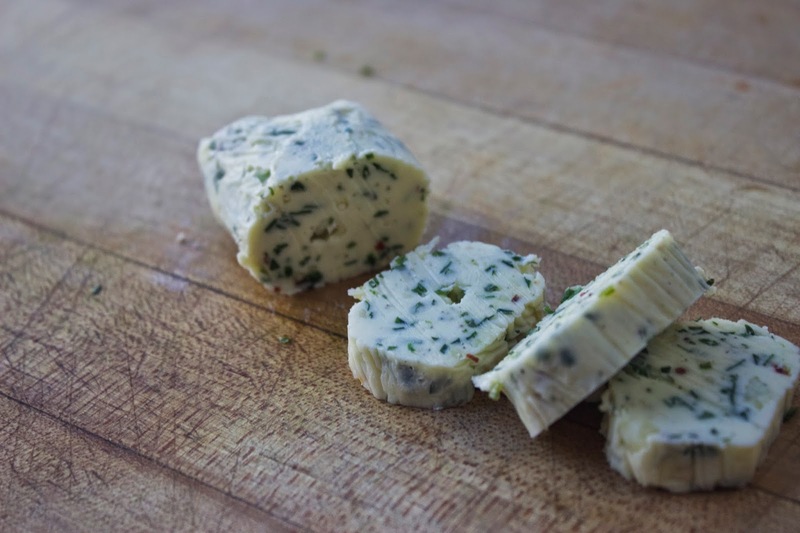 Remove the butter from the fridge shortly before serving and slice into quarter or half inch rounds. Time for steak! Place a cast-iron skillet over medium high heat and add one tbs of regular, unsalted butter and one tbs of olive oil to the pan. Sprinkle both sides of the filets with a generous helping of kosher salt and freshly ground black pepper and cook on one side for five minutes. Turn and cook for an additional four to five minutes on the opposite side for medium-rare. Remove to a plate and tent with foil. Allow to rest for ten minutes. Top with butter and serve. To begin, remove your filets from the refrigerator and allow them to come to room temperature as you prepare the butter. This will help the filets cook evenly and for the outside to develop a nice sear. For the butter, place eight tbs of room temperature, unsalted butter in a bowl (I recommend using pastured butter which means it was made from the milk of grass-fed cows). Add the garlic, chives, parsley, red pepper flakes, one quarter tsp kosher salt, one quarter tsp freshly ground black pepper, and a squeeze of lemon juice, approximately one tsp. Just enough lemon juice to add a hint of acid but not so much that it thins out. Mix with a fork until well blended and smooth. Lay out a large sheet of saran wrap on a flat surface. 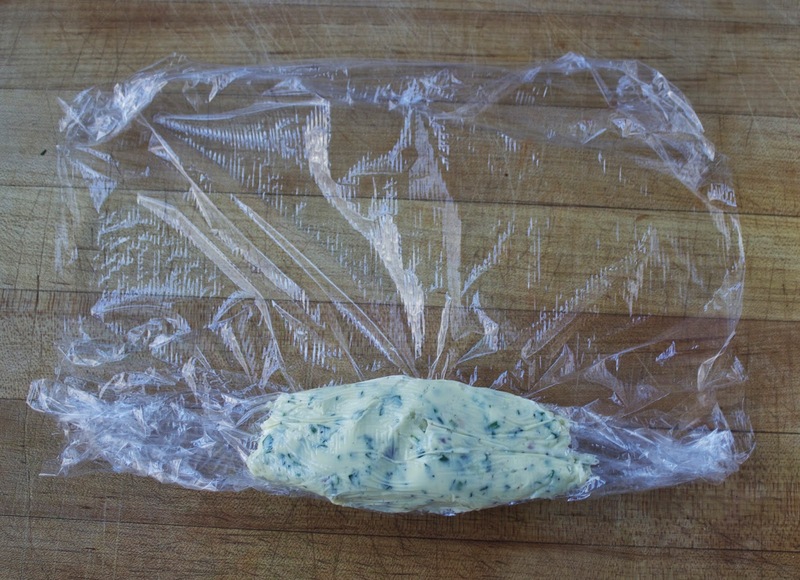 Place the herb butter toward the base of the saran wrap and roll forward, encasing the butter in the wrap. Working with your hands, roll and mold the mixture into the shape of a rounded stick of butter, approximately one inch thick. Tighten and secure the ends of the saran wrap and place the butter in the refrigerator or freezer. I use the freezer if I plan to serve my butter that same evening, speeding up the process of setting the butter. If I am making the butter in advance, I will simply store it in the fridge. The butter will last up to one week in the fridge and will also freeze well for future use.